The garage is typically a very busy place in your home. It's normal for homeowners to use their garage a few times every single day. At the bare minimum, those who have garages are going to use theirs a couple of times per day. Once when they leave for work in the morning and again when they arrive home after work. This constant usage is going to take its toll on the mechanisms of the garage and produce wear and tear that you need to address if you want to keep your door and opener working for many more years to come. Safety is always an issue when it comes to things that can cause serious harm, injury and property damage. The typical door weighs somewhere in the vicinity of just under a hundred pounds to somewhere closer to four hundred. Something this heavy is not to be taken lightly and for this reason, you must have us check the safety of your door for your own sake. Years of constant use will mean years of friction and years of pulling, pushing, sliding and slamming. 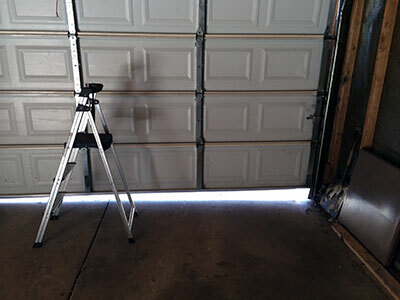 A few weeks or even months of typical use will most likely cause negligible damage, but if your door and opener are long lived, then you need professional garage door maintenance services to keep things working and looking great. We repair worn out parts to keep them functioning perfectly well. If the parts on your door can no longer be repaired, then we are also prepared to provide you with our replacement services. Some of the more common parts that get replaced are torsion springs and cables. These break because they are the ones that carry the full weight of the door when it is operated. Our garage door maintenance services are designed to keep your garage look and function perfectly fine for as long as you need. 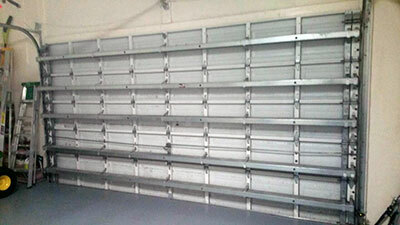 Call us today if you think you need to get replacement parts for your garage.